Photo Booth is a photo-manipulation app that goes hand in hand with the still camera built into the iPad (except for the original iPad) hardware. 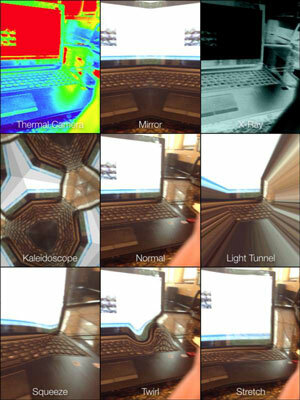 You can use this app to capture photos using various fun effects, such as Kaleidoscope and X-Ray. You can then copy or e-mail photos from within Photo Booth. Note that photos you take with Photo Booth open automatically and are saved to your Photos app’s Camera Roll. Tap the Photo Booth icon on the Home screen. The different possible effects that can be used in the current view of the camera appear. An image using that effect is captured. To return to the various effects, tap the Effects button in the bottom-left corner of the screen. 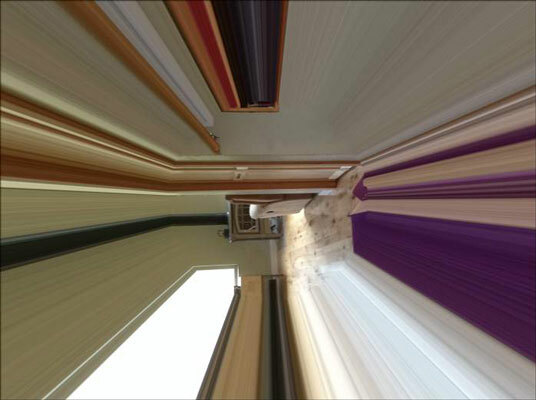 The image appears along with a filmstrip of all the images you’ve captured using Photo Booth. If you want to delete a photo, tap the Share icon, tap a photo, tap the Trash button that appears, and then tap Delete Photo. You return to the Home screen, and your photos are available in the Camera Roll folder of the Photos app.